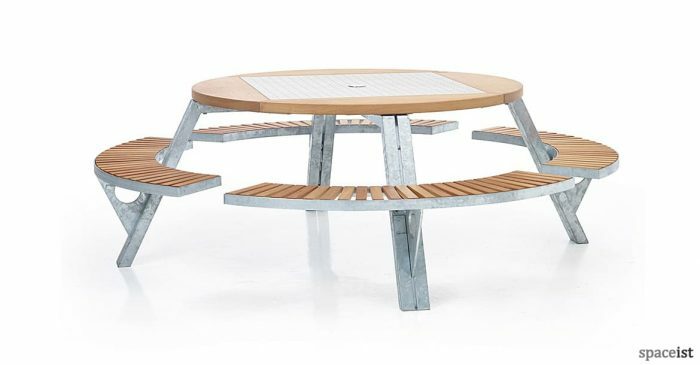 Large round picnic table & bench set. 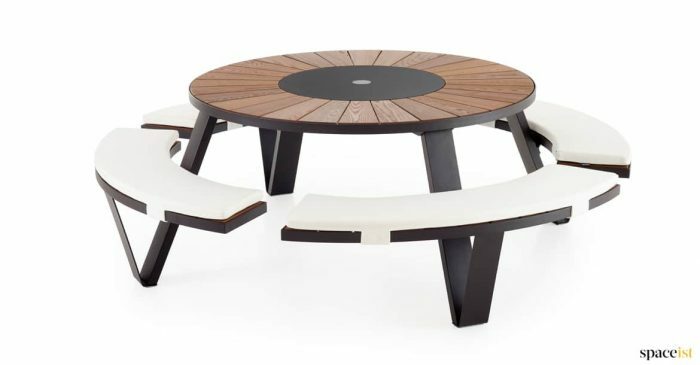 Table is made from hardwood & frame from galvanised steel. 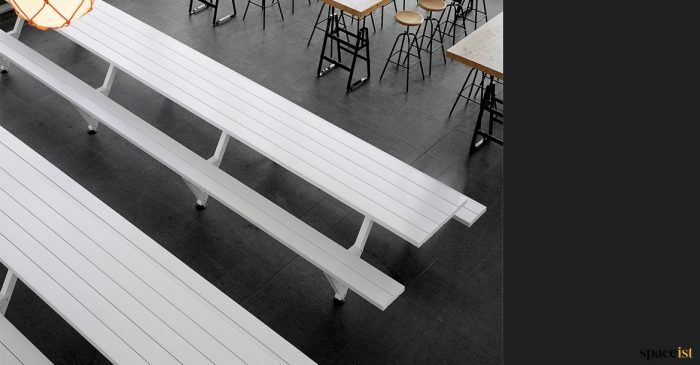 Large outdoor picnic table and bench set. 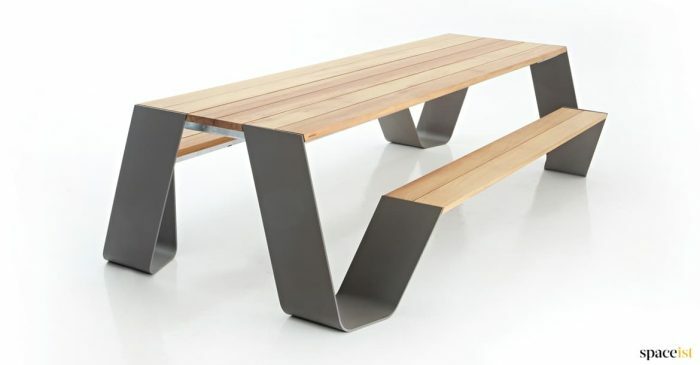 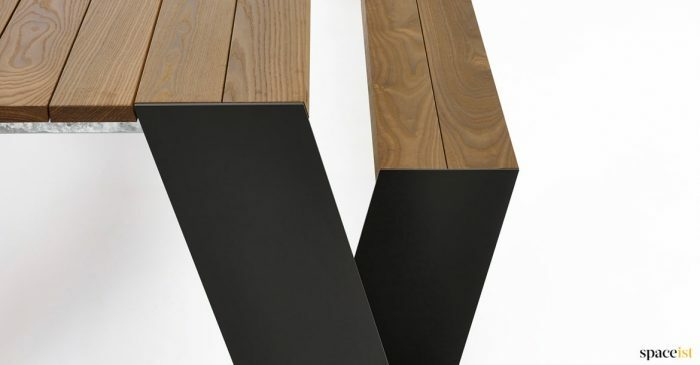 Table is made from hardwood and frame from steel. 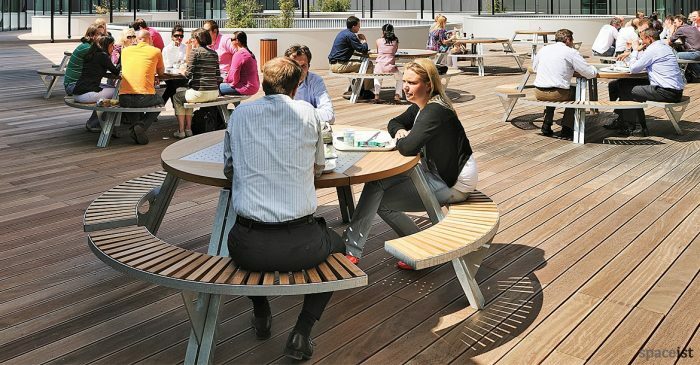 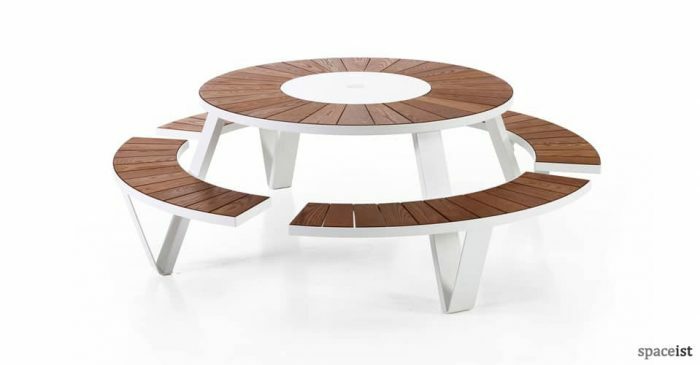 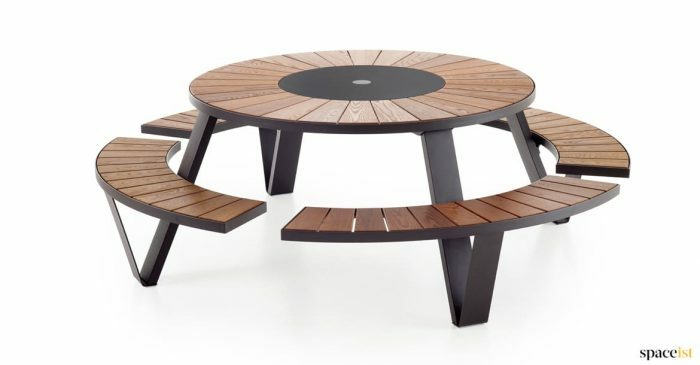 Stylish large round picnic table and bench set. 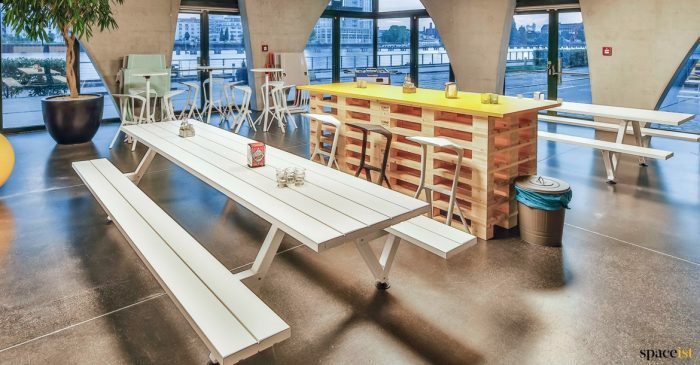 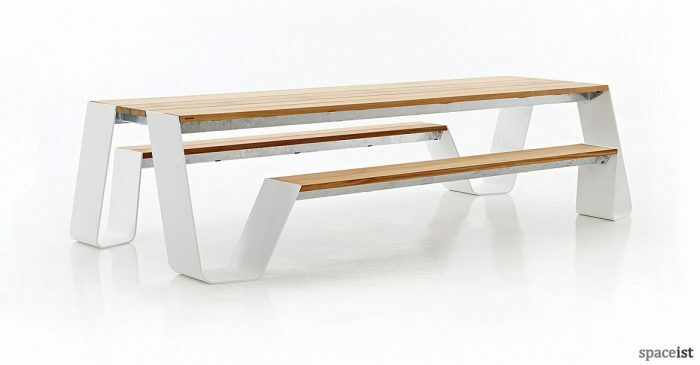 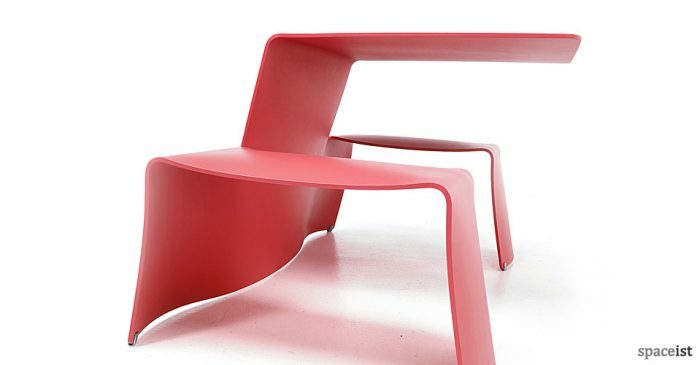 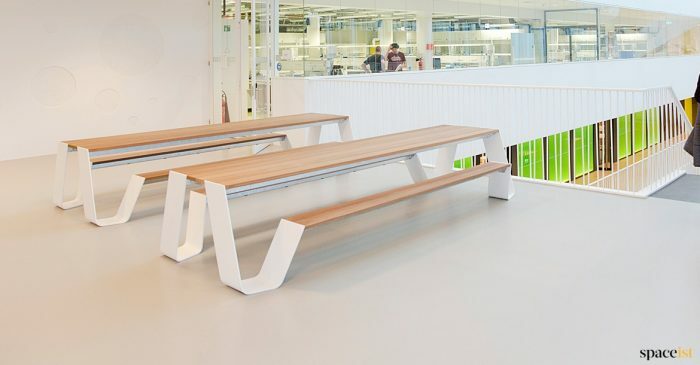 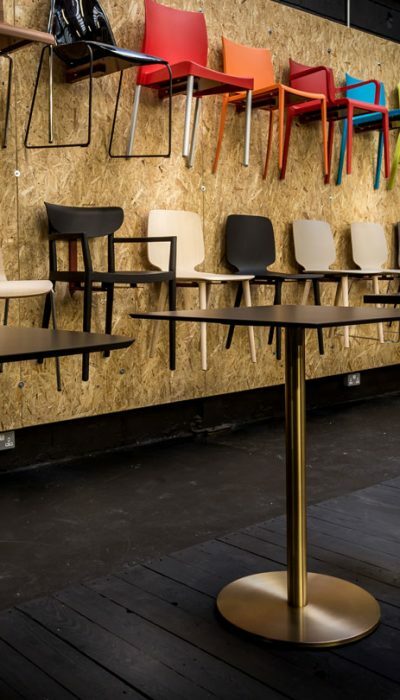 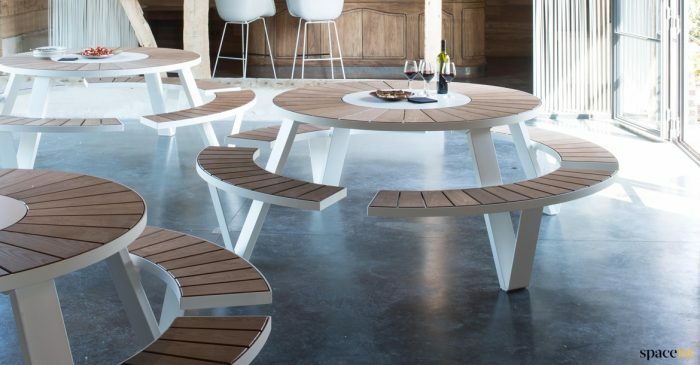 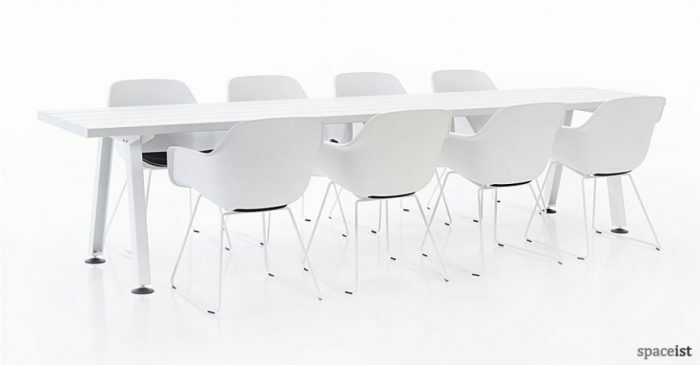 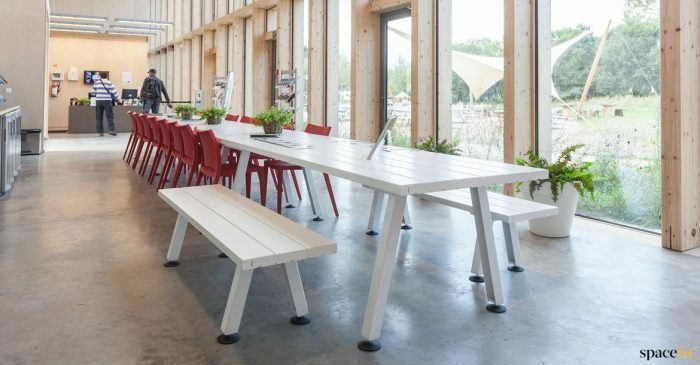 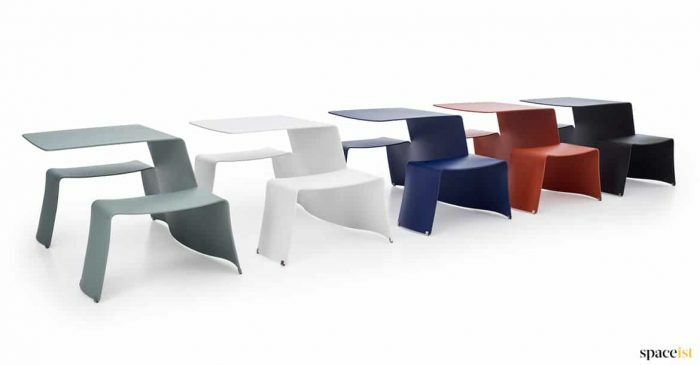 Table and seat is made from hardwood and frame is made from white or galvanised steel.